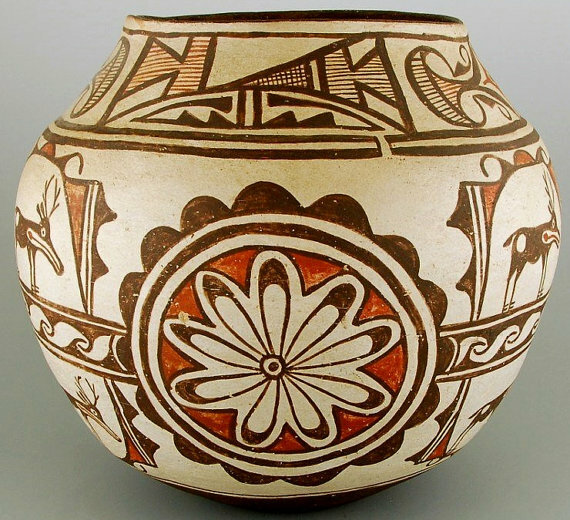 Description: Native American Zuni Polychrome Pottery Jar. C 1920, with deer and rosettes. Condition: Excellent for age and use. Dimension: 9” x 9.5”.